incite the desired emotion, WOW-effect. The industry of interactive and visual technologies creates new opportunities for presentation and positioning of products and services, as well as for attracting and retaining potential customers. 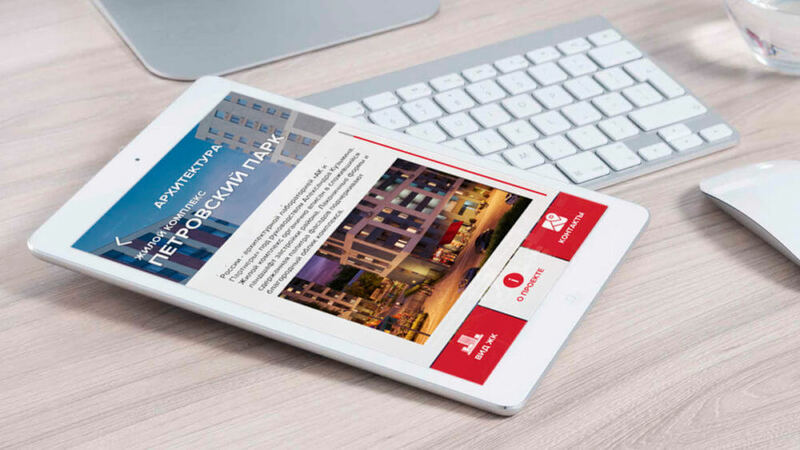 Maximum leverage of interactive solutions is one of the Design Dossier’s main profiles the aim of which is to present our customers’ products and services. Interactivity is the two-way interaction between the information source and its consumer in a real time mode. In other words, it is the ability of the information communication systems to actively react to the consumer’s every action. Interactive installations are artistically organic spatial compositions created from diverse elements and assumingly designed for interactive cooperation. An interactive model is a classic architectural model combined with visual effects and infographics. An interactive model combines a physical model with visual effects and infographics integrated into its design via multimedia screens, video projections or the AR (Augmented Reality) technology. Interactive multi-zone media systems (IMMs) are complex products that combine multimedia content, software and interactive hardware. We use such interactive solutions to leverage complex exhibition projects and interactive ideas for business or informal events and for sales promotion events. IMM based solutions are a good option in a setting where there’s a need to convey a lot of information within a short time period, and simultaneously to gather data about the customer’s involvement and get the contact database for the future follow-up. What are the advantages of interactive presentations and Interactive Advertisement? Interactive digital technology helps to create a bright, emotional WOW effect. Interactive involvement ensures a deep memorizing effect. Interactive technologies attract and involve a person into the active interaction process. A prolonged contact with the product/service in question is ensured. This helps to ensure a sustainable loyalty which is the main marketing objective for all fundamental business strategies. The usage of interactive technologies in advertising encourages the audience to act and gives them a powerful incentive to respond: from creating their own reality to making a purchase – that’s what exactly happens in case with interactive showcases. Where Are The Interactive Technologies Used? Interactive multimedia technologies are now a part of all aspects of today’s life. 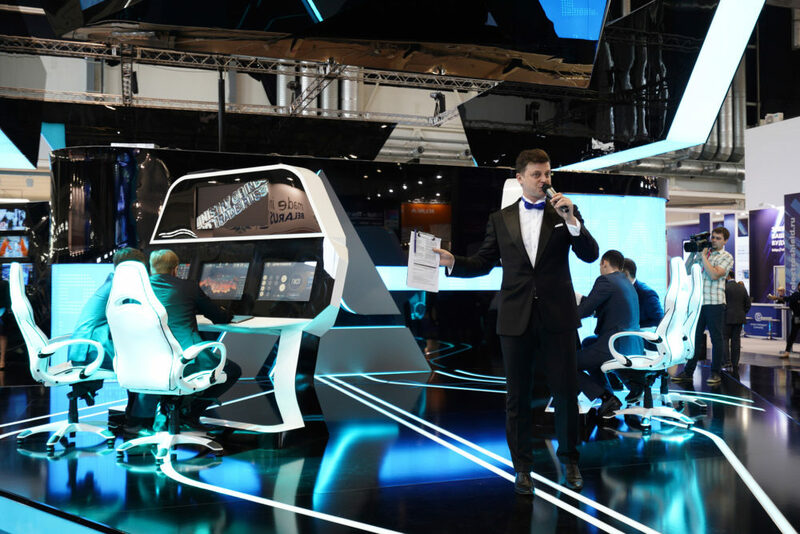 Interactive solutions being a marketing strategy are involved in commerce, in the exhibition business, in advertising, in education, as well as in organizing large concerts and shows. Multimedia presentations, interactive layouts and installations are currently very popular among marketing and advertising professionals, especially in BTL. 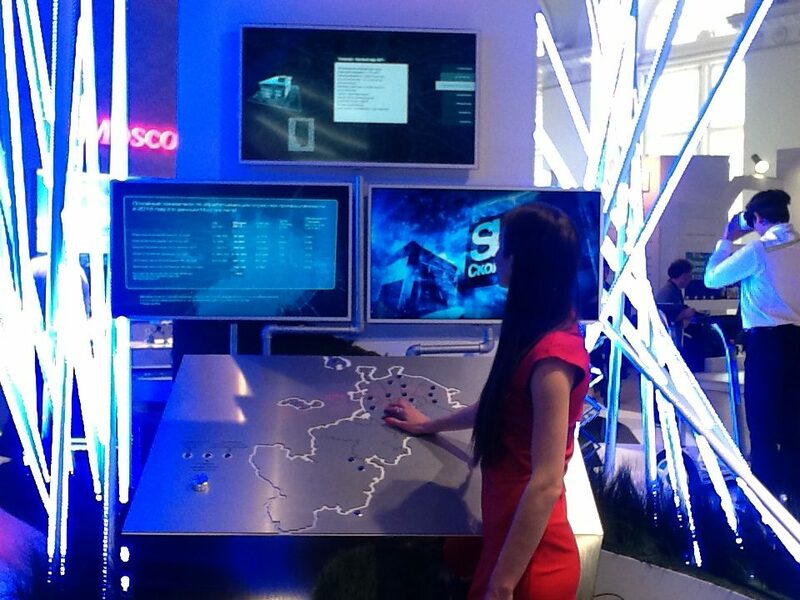 The use of interactive technologies is an ideal means to demonstrate the key advantages of a company. 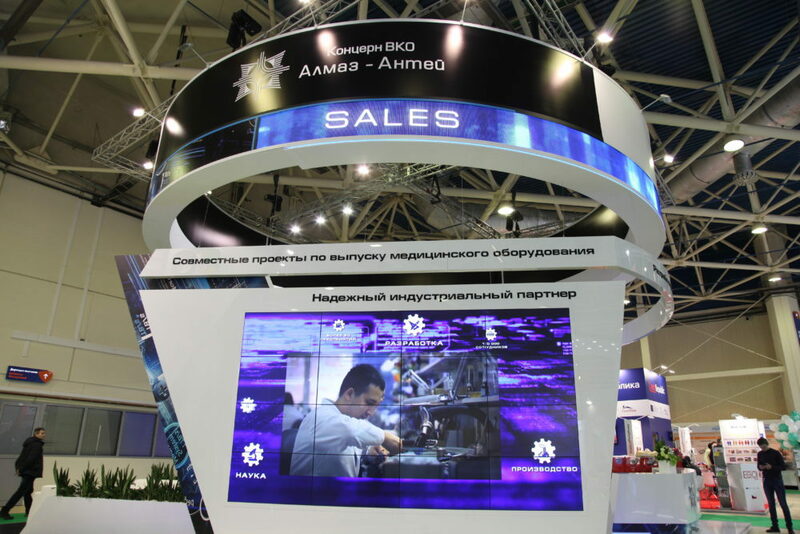 Interactive installations are used in exhibition activities for their being recognizable solutions which could be used in shaping exhibition spaces, conducting presentations or promotions. Both interactive and multimedia installations are used to help study the content and ease the navigation in museums, art galleries, exhibitions, and in the entertainment industry. Moreover, interactive installations have grown to become an art by themselves. What Interactive Solutions Do We Offer? 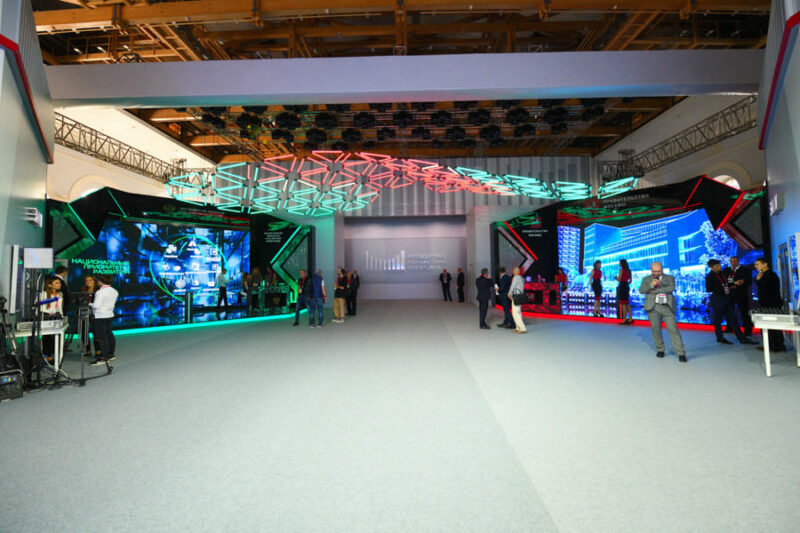 We have a vast experience in creating multimedia and interactive installations. Our team includes talented designers, gifted creative artists, experienced software developers and high-tech professionals. Due to that all of our customers get a unique interactive content, custom-tailored to achieve the necessary marketing objectives. We implement the project from the beginning to the end covers all stages: consulting, development of creative concept, design, technical planning, content creation, software development, equipment selection, installation and ongoing maintenance. We possess our own technical equipment pool which allows us to deliver even the most sophisticated solutions at the highest level of technical implementation and quality. What Are The Project Stages And Pricing Elements?